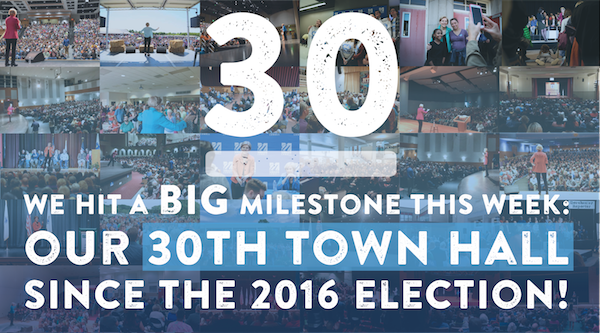 Yesterday, we hit a big milestone: our 30th town hall since the 2016 election! 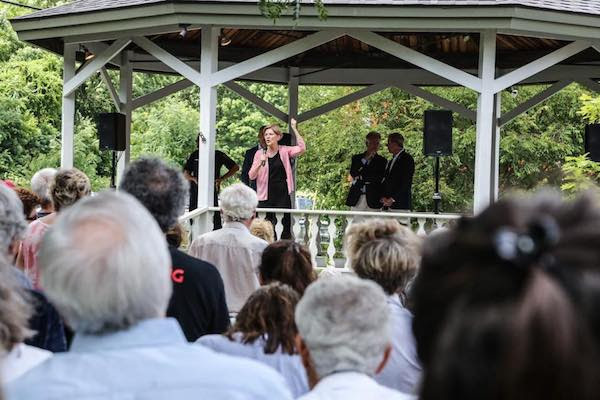 It was a great afternoon – we think most of Great Barrington joined us inside and outside Mahaiwe Performing Arts Center! 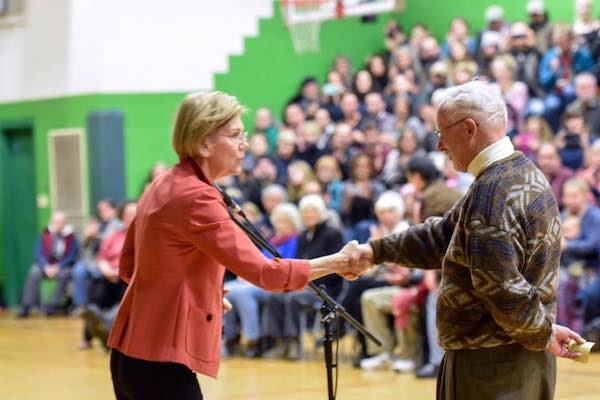 For the past year and a half, Elizabeth has been out on the road, crisscrossing Massachusetts and meeting as many people as she can. 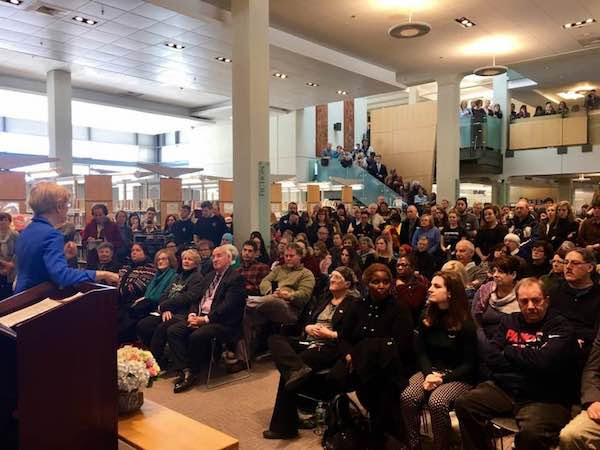 We kicked off our first town hall at the Worcester Public Library back in March 2017. 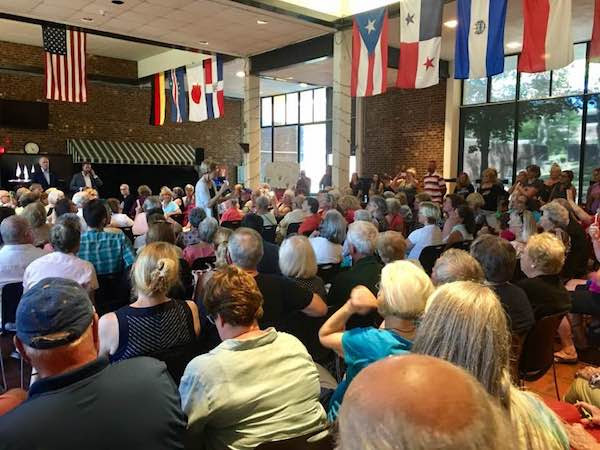 We had a smart, thoughtful, and we’d say even bipartisan town hall in Ware, an old mill town that voted for Donald Trump in 2016. We celebrated Elizabeth’s birthday in Lowell with Congresswoman Nikki Tsongas at UTEC, a fantastic youth organization. 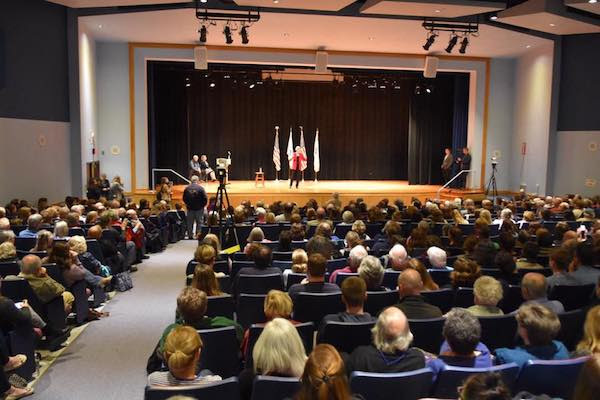 It took three rooms to fit all 1,300+ people who came to our town hall at Cape Cod Community College in West Barnstable. 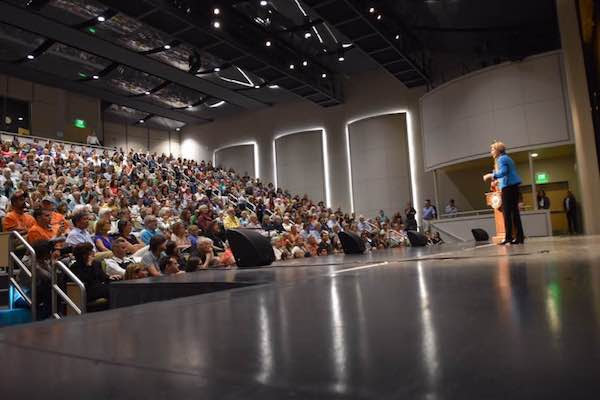 And we had so many people show up at Concord-Carlisle High that we filled the auditorium, cafeteria, and still had people listening on speakers outside. We packed the Greenfield Middle School auditorium and gym on a Sunday afternoon in Franklin County. And we brought together over 1,100 people for our first town hall of 2018 – at Malden High, which is proud to be one of the most diverse high schools in Massachusetts! We took some great selfies in Holden. 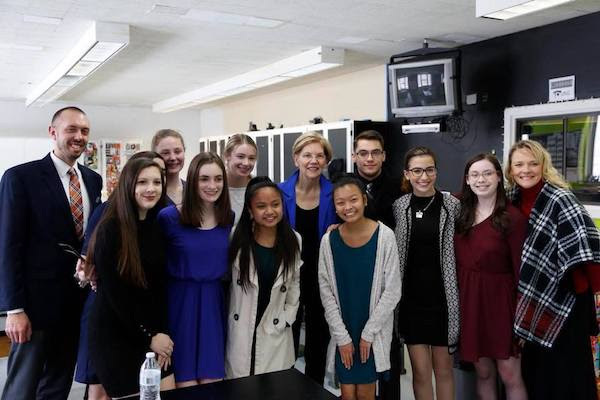 We discussed some important issues on the South Shore – including a talk about gun reform and school safety with students at Weymouth High School. 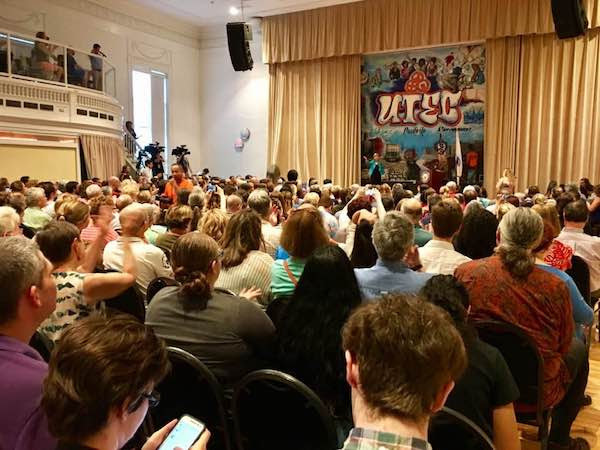 We hosted a terrific town hall with our neighborhood newspaper, the Dorchester Reporter, at the Boston Teachers Union hall (yay teachers!). We enjoyed an unseasonably warm (but welcome!) spring day in Brockton with our first outdoor town hall at West Junior High School. We met some young supporters at Greater New Bedford Regional Vocational Technical High School. 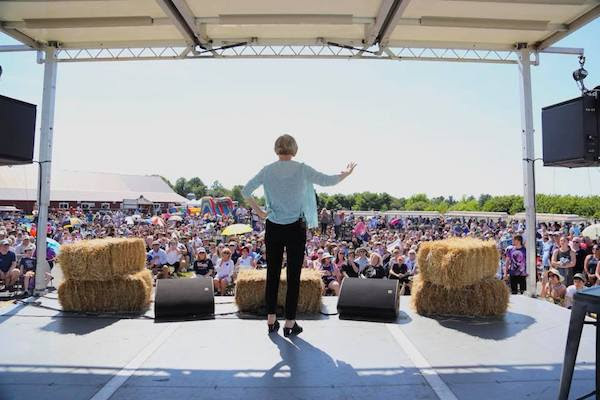 And we spent a hot summer afternoon talking and having a cookout with over 1,500 people at Belkin Family Lookout Farm in Natick. And guess what, Lauren? We’re just getting started! 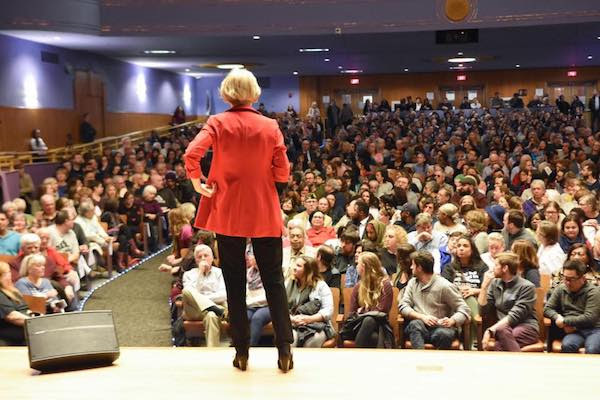 Elizabeth loves town halls – she gets pumped up by the energy and enthusiasm that people bring to these events. 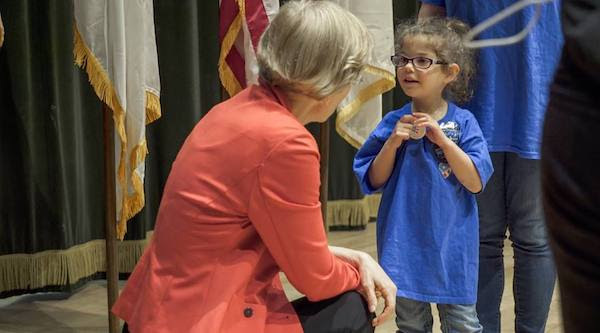 She could spend all day talking about how we can support veterans, reduce student loan debt, protect immigrants, and, of course, how we’re all going to fight back against Trump and his awful policies. And she really appreciates that people are taking time out of their busy weekends to talk about what is happening in our country. 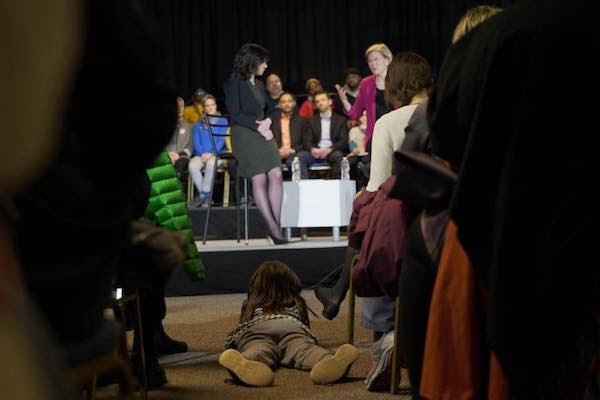 The one question that Elizabeth has been asked at every single town hall is: “What else can I do to help?” She tells people to join a group, to talk with people who don’t always agree with us, and to commit to do something every day. But one more thing she tells people to do is to join this email list. 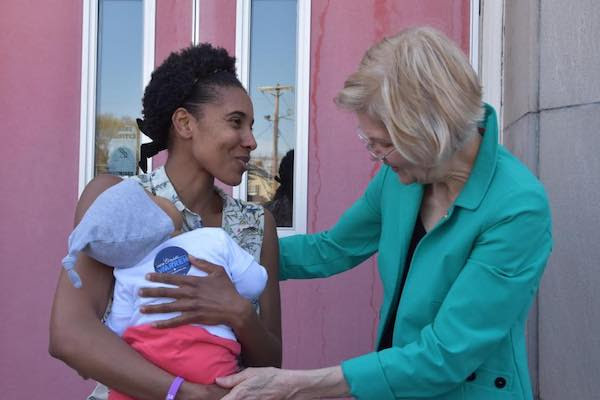 Elizabeth is going to continue to fight for Massachusetts families in the Senate – with every tool in her toolbox, and with every bone in her body. She hopes you’ll continue fighting alongside her – because this fight is our fight. To everyone who’s attended, volunteered, asked a question, or helped spread the word for any of our town halls so far – thank you! 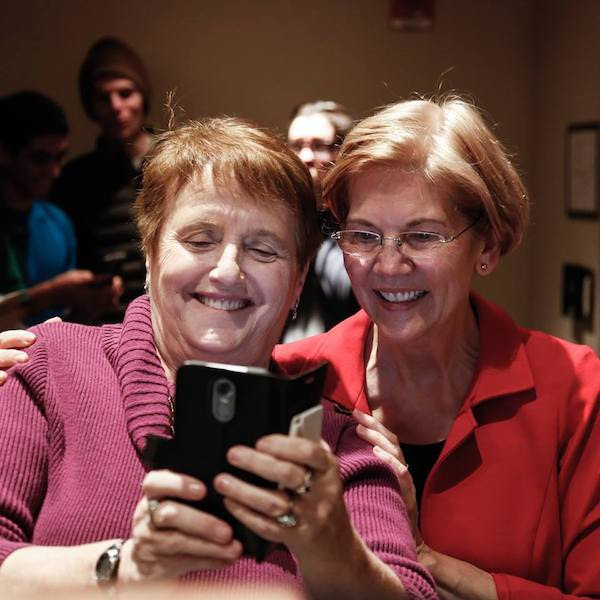 Follow Elizabeth Warren for MA on Facebook, Twitter, and text PERSIST to 24477 to sign up for our text messages to hear about the next town hall happening near you.